While Google may want everyone to associate the latest deals on the Nexus 6P, Chromecast, and Chromebooks with the busy back-to-school schedule, there is no doubt that the company has the Nexus 2016 in mind. Of course, every retailer out there will be working hard to throw in deals that will attract kids that are going back to school. However, the Google Store is no common retailer (although technically it is a retailer) and apparently, the deal being offered extends beyond the “usual” school-based products to include the 2015 flagship, Nexus 6P. To basically prove that the Google Nexus 2016 is what the company has in mind by throwing in these deals, the company has placed smaller discounts on the school-based Chromebooks but a larger amount for the Nexus 6P. To be specific, the Acer Chromebook 14 and Acer Chromebook R11 are now available for a price of $270 and $280 respectively, which means they are just $30 down. As for the Chromecast, the Chromecast and Chromecast Audio are now available for $5 less, which now means they sell at $30 each. Now, coming to the Nexus 6P, the offer gets more interesting, probably because of the hefty price of the phone. 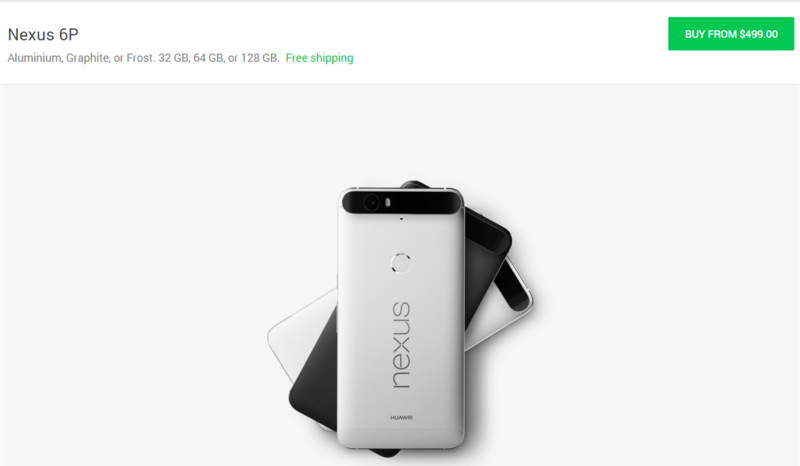 Those after a brand new 32GB version can now enjoy a discount of $100, meaning the Nexus 6P base model now costs $499. The same discount has been effected for the other two storage variants of 64GB and 128GB, which now values them at $549 and $649 respectively. One good thing about the Nexus 6P is that it runs on stock Android OS, which means it will be the first to receive the new Android Nougat update. While this deal is great for ushering in the new Google Nexus 2016, there is still some time before the Nexus 6P successor shows up. During this period, you can expect even more price drops for this phone as well as the mid-range Google Nexus 5X. To grab yourself any of these products, check out this Google Store link. Next Next post: Google Nexus 5X vs. Google Nexus ‘Sailfish’ 2016 – Should You Upgrade?